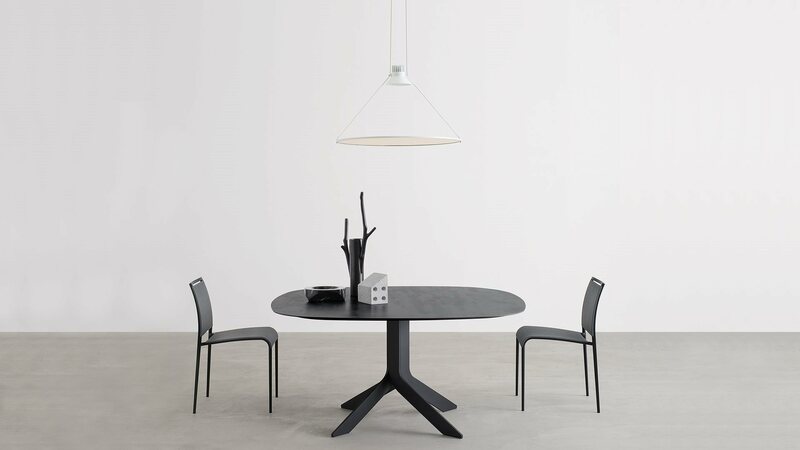 The Iblea table combines a dynamic design with technological elegance. 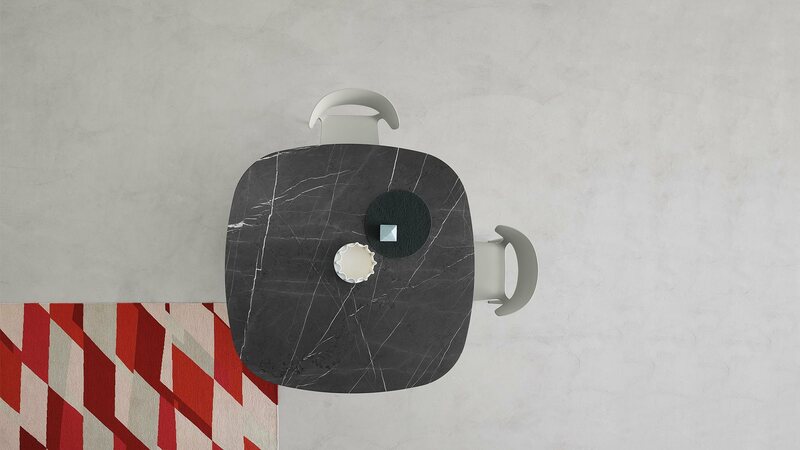 The circular perfection of its top blends harmoniously with the geometric stability of its base. Design can also be a contradiction: for example, a dynamic form, like a base that looks like a vortex, which meets the static dimension of a monolithic marble top. The table Iblea takes shape from here; maximum expression of such contradiction. 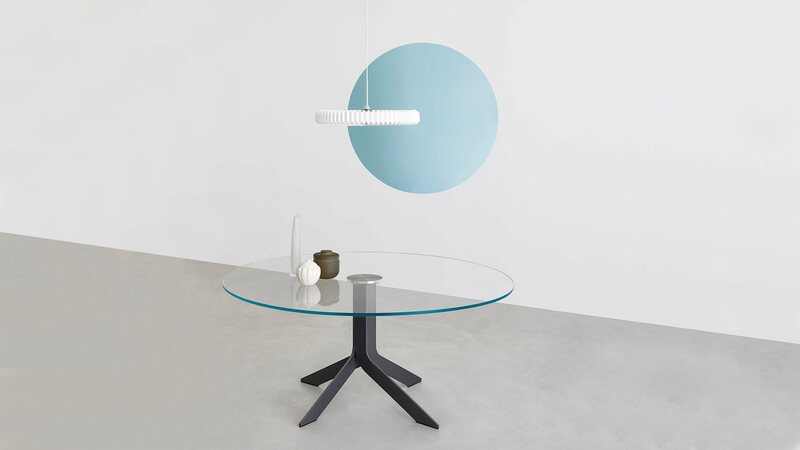 Table with frame of laser-cut steel plate, matt lacquered finishing or in Desalto’s exclusive finishes, tops in extra-clear transparent toughened glass, ceramic or marble.